Our original location at 1500 W 7th Street near Downtown Los Angeles. J.H. 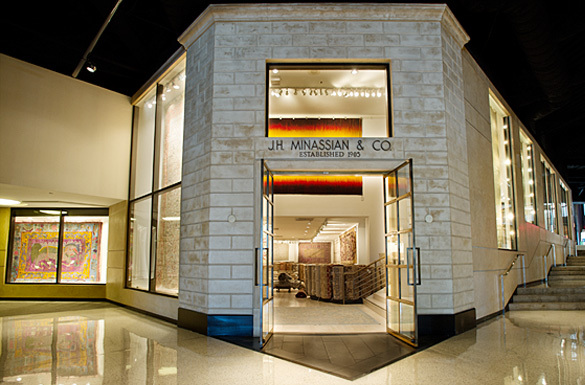 Minassian & Co. opened its doors in 1905 with a fine collection of handmade rugs and carpets. 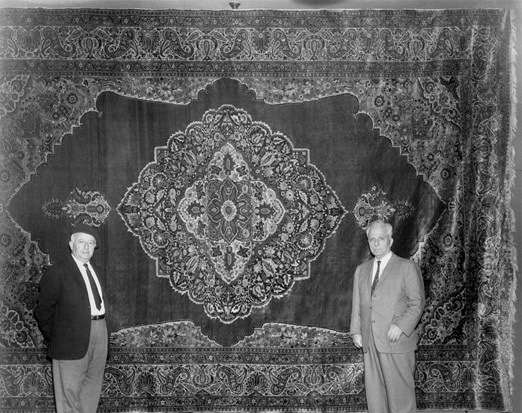 On the left, founder John Henry with nephew George proudly stand in front of an Antique Silk Heriz Carpet. In 1926, John Henry moved the showroom to 401 S. Vermont Avenue. 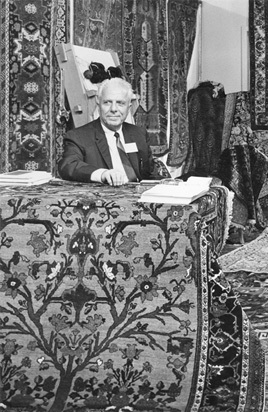 John Henry was a connoisseur and a well-known collector of rare antique rugs. He held classes and lectures at UCLA from time to time. 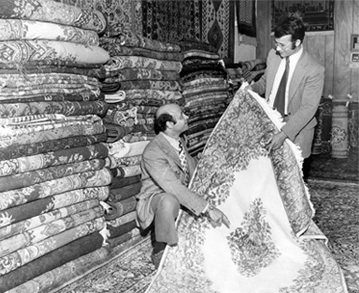 John Henry passed in 1948 and George took over the company, maintaining a collection of the finest rugs and carpets. J.H. 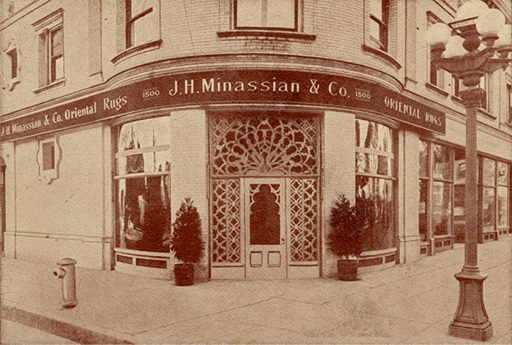 Minassian & Co. became well-known throughout the country. 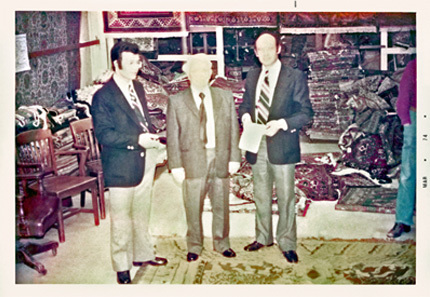 In 1972, third generation expert rug merchants David and Joseph started conducting business with George at J.H. Minassian & Co. They enjoyed a close friendship and business relations. In 1977, Joseph and David took over J.H. 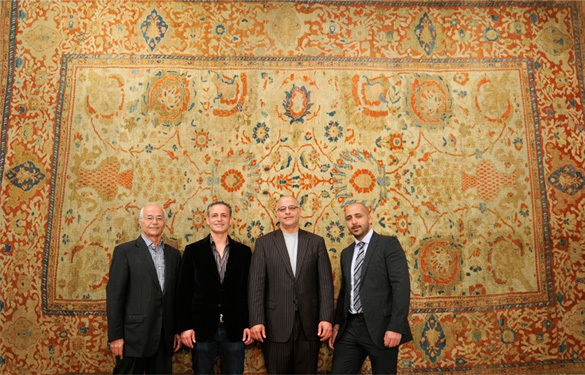 Minassian & Co. and in 1988, they moved the company to the present location at Pacific Design Center in Los Angeles. Joseph retired from the company in 1997. David’s three sons joined the company in 1997 continuing the tradition of serving designers, high-end users and greater homes worldwide. Located on the ground floor of the Blue and Green buildings, suite B139. Pacific Design Center Los Angeles, the home of J.H. Minassian & Co.